Queen’s Park Cricket Club slipped a spot to third on 90 points after drawing at the Queen’s Park Oval against FC Clarke Road. The visitors were bowled out for 340 with Nicholas Sookdeosingh making 77 and Yannick Ottley cracking 70. 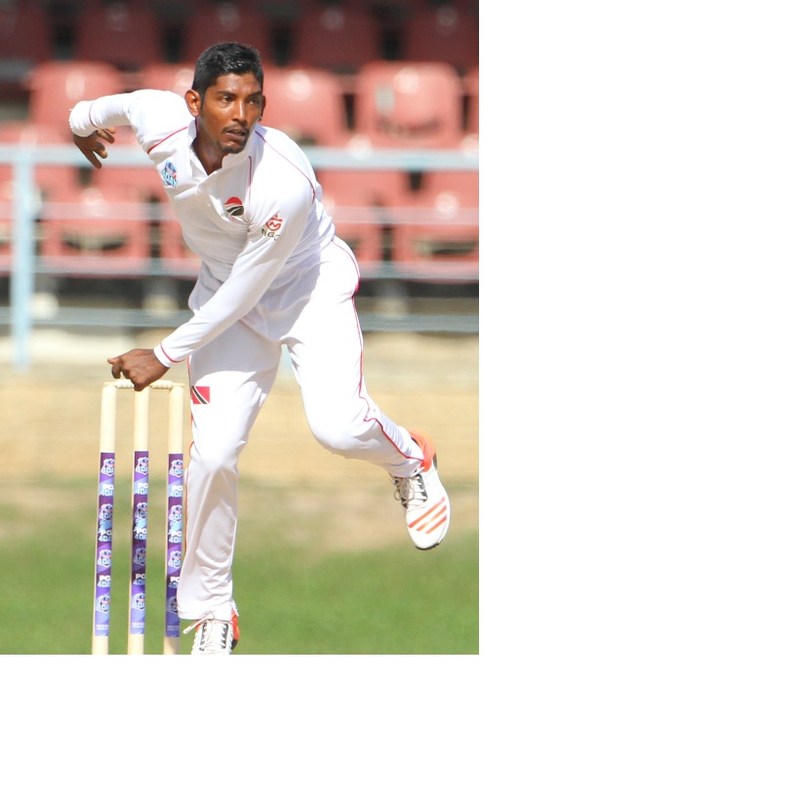 Akeal Hosein finished with three for 35 and then starred in the Parkites’ turn at the crease. They got to 416 for nine with Hosein smashing an unbeaten 151 from 141 balls with ten fours and nine sixes. Yannic Cariah made 64, Tion Webster cracked 61 and Jon Russ Jaggesar got 51 not out, while Dalton Polius took three for 95 to leave Clarke Road sixth on 63. In a mid-table clash, Central Sports went fourth with 80 and Merry Boys fifth on 85 after a draw at the Diego Martin Ground. Resuming with an 85-run lead, Central Sports made 200 for seven thanks to Vishan Jagessar’s 48 and Jesse Bootan’s 43. Nathaniel McDavid nabbed three for 51 and set 285 to win, Merry Boys held out on 175 for seven. Leonardo Julien made 63 and Rishaad Harris got to 54 but it was Ricky Jaipaul who stole the day’s honours with six for 47 to end the match with nine scalps. Victoria 125 (Sherwin Ganga 61; Kavesh Kantasingh 6/63, Royston Crandon 2/10) and 127 (Emmanuel Lett 28, Chris Mohammed 26; Kantasingh 5/53) vs Powergen 189 (Steven Katwaroo 62, Jason Mohammed 34; Farrel Jugmohan 5/58, Lett 2/21) and 64/8 (Ewart Nicholson 13, Jugmohan 4/28, Vikash Rampersad 4/23). Powergen won by two wickets. Alescon Comets 155 (Brandon Ramdial 56 not out, Andy Gobin 25; Akil Timothy 7/19, Bryan Boodram 2/60) and 300/9 (Rayad Emrit 74, Imran Khan 62 not out, Christopher Barnwell 46, Vikash Mohan 41; Timothy 4/106) vs El Socorro Youth Movement 138 (T Lowe 47, N Arthur 25 not out; Imran Khan 7/66, Derone Davis 3/41) and 127 (Boodram 27, Timothy 26, Jyd Goolie 6/46). Comets won by 190 runs. Clarke Road 340 (Nicholas Sookdeosingh 77, Yannick Ottley 70, Clevon Kalawan 49; Akeal Hosein 3/35, Khary Pierre 2/32, Anderson Phillip 2/53) vs Queen’s Park 416/9 (Hosein 151 not out, Yannic Cariah 64, Tion Webster 61, Jon Russ Jagessar 51 not out, Dalton Polius 3/95). Match drawn. Central Sports 195 (Kamil Pooran 81; Nathaniel McDavid 5/48, Rishard Harris 2/56, Atiba Allert 2/27) and 200/7 (Vishan Jagessar 48, Jesse Bootan 43, Kjorn Ottley 30; McDavid 3/51, Allert 2/60) vs Merry Boys 110 (Amir Jangoo 31; Ricky Jaipaul 3/24, Marlon Richards 2/26, Akeem Jordan 2/26) and 175/7 (Leonardo Julien 63, Harris 54, Jangoo 26, Jaipaul 6/47). Match drawn. Reply to "Kantasingh virtually seals two-day crown for Powergen"